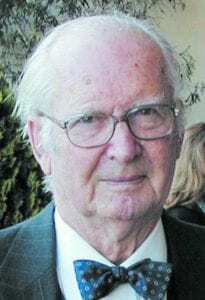 Memorial plans are pending for Newton Wallace, 1964 CNPA president and former publisher of the Winters Express, who died April 1, 2018, at his home in Winters, The Express reports. He was 98. Wallace was publisher in Winters from 1947 to 1983 and was publisher emeritus and “The World’s Oldest Paper Boy” until recently. Newt’s son Charley, who had been publisher since 1983, himself retired in December.